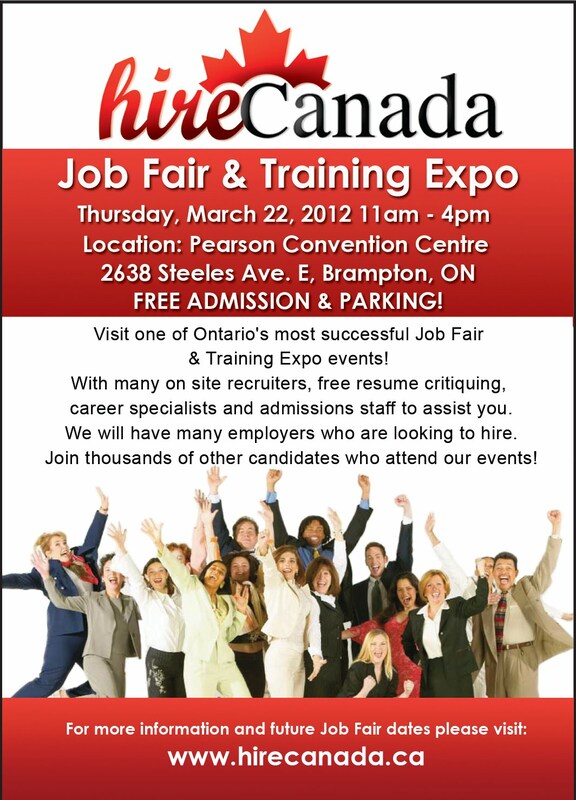 Are you seeking Hire Canada Job Fair 2012? This spring will be held in March 22, 2012 at Pearson Convention Center, 11am - 4pm. The following are part of the exhibitors this time.